CILU runs on volunteer power! All of our Programmers are volunteers and we also have quite a few volunteers who work behind the scenes as well. Whether you are hoping to have your own radio show or just hang out with the coolest bunch of folks in Thunder Bay, this is the place to be! We require that all of our programmers complete at least 10 hours of volunteer work with us before starting their on-air training. This allows prospective programmers a chance to find out more about the station, and for the station to find out more about them. Our programmers are also expected to volunteer outside of their shows as well. Volunteering can take many forms at the station. It could be simple tasks like sweeping the floor, vacuuming, or taking out the trash or it could be more involved like adding new music to our music library, assisting with computer updating or repairing equipment. Our volunteers also staff our events, create posters, make buttons/magnets and much more. Essentially, there is a never ending list of things that volunteers can do. Maybe you have an idea of what it is YOU would like to do for CILU? Perhaps you have a particular skill or strength that you think might be needed, let us know! We try to arrange quarterly information sessions for prospective volunteers however we do arrange one on one sessions as well from time to time. Get in touch with our Volunteer Coordinator by email at: tiina@luradio.ca or give her a call at 807-766-7260 to get on the contact list for the next session. What types do you need? 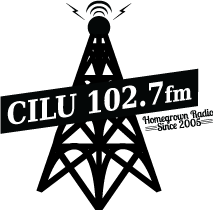 We need all types of radio programming on CILU. We have a mandate to provide music and information that isn’t already on the airwaves in Thunder Bay, which leaves things fairly open.  The Canadian Radio and Tele-Communications Commission does have say over what we put on the air, so there are guidelines as to what we can and cannot put on the air. That being said, we are always looking for new types of programming and new ideas. And that’s just off the top of our heads. Maybe you have an idea for a show you don’t see on the list? Pitch it to us! Again, you’ll have to volunteer with us first to get a feel for the station, but that also gives us time to work on refining your idea into CILU type show.